History - "The Trojan Wars"
Lapstrake hulls were assembled one strake at a time, but to speed up the process, Warner invented a tool that sequentially hammered in the copper nails and then clenched them to the backside of the strake. Hull designed all the cruisers with V-bottoms and a hard chine for stability in rough seas as well as lots of freeboard fore and aft, making Trojans a dry boat in a chop. The shorter models got bottoms of 1/2-inch ply and sides of 3/8-inch. Cruisers over 33 feet were carve! planked with 3/4-inch Philippine mahogany. The 38-footers and longer were planked with 7/8-inch mahogany. Another interesting practice that gave the plain plywood hulls a smooth finish when painted was gluing waterproof paper over the wood, which covered up any sign of plywood grain. This facing was applied by the plywood supplier, eliminating labor on the assembly line. 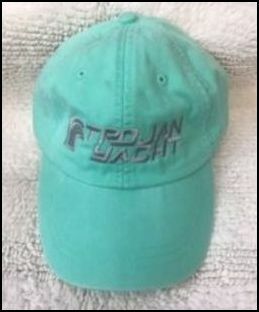 What struck new owners of Trojan boats was the quality of workmanship. Fittings were always top drawer. Fastenings were copper and bronze; railings and hand-holds were stainless steel. The Philippine mahogany gave the boats a warm, honey-like appearance. As a cabinetmaker, Warner saw that the joinery was high standard. "They were beautiful boats," in the opinion of Max Silverman, a longtime marina operator and boat broker in Manotick, Ontario. 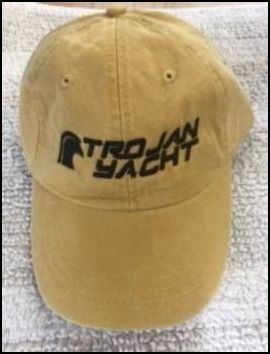 "Trojans matched Chris-Craft all the way." 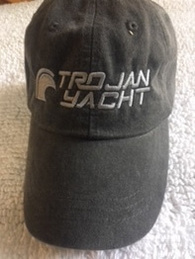 Trojan offered the "most wanted features" as standard equipment that were options in their competitors' cruisers: a complete galley, a stand-up head, upholstery, cabin cushions and carpets. The cruisers came with a variety of power plants, either single or twin screw, gas or diesel; the latter offer an option that was ahead of its time. Other characteristics that owners admired were the spacious cabins and teak decks which gave the boats a rich appearance that was seen only on the most expensive cruisers or sailboats in the past . 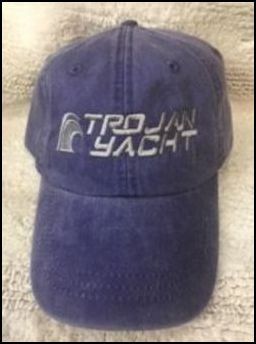 Trojan was a leader in offering workers incentives on the production line. Those on piecework could increase their weekly paycheck considerably. 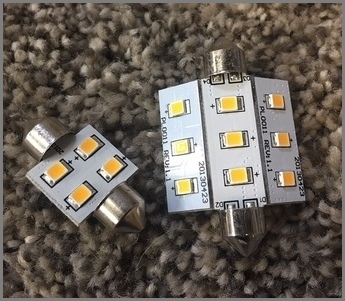 To ensure that quality did not suffer, inspectors approved the work. If it was not up to snuff, the employee made good the work later on his own time. It was a progressive company in many regards. 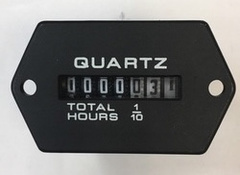 An early IBM computer was in use in 1957 that provided accounting functions, controlled the flow of materials to the production line, managed inventory, and recorded the piecework done by individuals who also enjoyed a profit-sharing retirement plan. Before a succession of corporations took over the Trojan management, many employees said they felt they were working for a family business. When Trojan acquired Shepherd Boats in Canada, workers there were naturally apprehensive about the take-over. But Trojan surprised the Canadians with its thoughtful management-employee relations. "It was the happiest job I ever had," remembered Helen Rockwell who worked in the Trojan-Shepherd payroll office. Trojan displayed another distinctly American trait: "huckster-ism". When anyone asked why the company had located in land-locked Lancaster, they hinted it was because of the presence of a pool of Amish workers in the area, giving credence to their talents as woodworkers. "In fact, the Amish were no more or less talented than any of the other workers," said Larry Warner, the son of Ernie and himself a long standing Trojan employee. "What they did excel at was giving the company nine hours of work in an eight-hour day." For visiting firemen the sight of the black-clad Amish on the production line with their straw hats was not only a colorful sight but also a reassuring one of fastidious craftsmen at work. "They were really excellent barn builders who kind of got involved in boat building," laughs Warner. The real reason Trojan located in Lancaster was because the three partners lived nearby. Another innocent deception the company perpetrated was to draw human figures disproportionately smaller than normal in illustrated brochures as to make the boats look bigger. That they seemed to be a family of dwarfs didn't seem to matter to the founders. It is difficult to know how many wooden Trojan cruisers were actually built. As the new owners of the Trojan firm came and went, much of the company's financial records and plans got tossed into the dumpster. Records that do exist for the 1950s show that success was rapid with the introduction of a 20-foot pocket cruiser with a stand-up head that "really put Trojan on the map," recalled Larry Warner. In a five-year period, from 1953 to 1958 -- Trojan sold 16,783 boats, a remarkable achievement for a newcomer in a very competitive industry. While records are incomplete the years between 1958 to 1974, when the last wooden boat was made, a guesstimate of 3,000 boats a year would bring the wooden Trojan fleet to 64,783 boats built in that period. And that is conservative since, by the middle 1950s, Trojan was already building on average 4,000 boats a year. Brian Nolan is a Canadian author who usually writes on politics and military affairs. He divides his time between a home in Ottawa and a pied-a-terre in the south of France.